Update: Tableau 10 is here! Download now to try out the feature outlined below. Tableau 10 includes a number of API improvements. And these new APIs are all about opportunities—opportunities for new integrations with Tableau, and the opportunity to win a full conference pass to TC16! 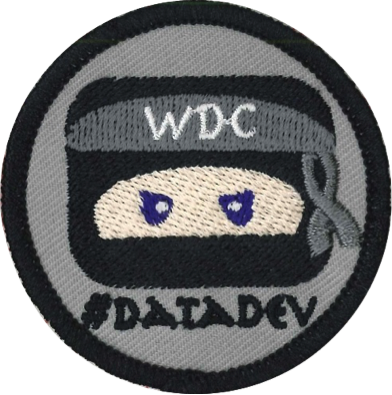 Let me tell you about both the APIs and our WDC v2 hackathon. New in Tableau 10, the Document API provides a supported path for working with Tableau files such as .twb and .tds. This means you can create a template workbook in Tableau and easily deploy that across multiple servers and/or databases. We are shipping this as a fully open-sourced project. We’ll be working to expand the capabilities and supported languages in the Document API. Use this to create a web page with a custom visualization alongside your Tableau dashboard. Make the data available in a simple table or export it to a screen-reading program. Iterate through each and every user until you find one named "Lee"
Filtering and sorting is currently enabled on the \Users and \Workbooks endpoints. We’ll be adding more in a future release. Launched last fall with Tableau 9.1, WDC enables developers to connect Tableau to any data source on the web. In Tableau 10, we’ve improved and streamlined the WDC API. We’ve also added support for multiple tables. The creator of the top WDC will win a full conference pass to TC16 in Austin. And two runners-up will win some great Tableau gear. Submissions are due June 19. Then the community will vote from June 23 to June 30 to choose the winner. More details are available here. We look forward to seeing what you create! Tableau 10 includes a brand new look and feel, and a host of new features to help you prep, analyze, and share your insights even faster. Check out our Coming Soon page for details.